With the legislative session right around the corner, it might be worthwhile to review some basics about Hawaii’s tax system to help lawmakers avoid making mistakes. Most of the misunderstandings about Hawaii’s tax system occur in the area of the general excise tax largely because people think of it as a “sales tax” commonly found on the mainland. However, unlike the retail sales tax found on the mainland, it is the responsibility of the business making the sale to pay the general excise tax as compared to the retail sales tax which is the onus of the purchaser to pay that tax. This misconception probably occurs because consumers see the 4% or sometimes the 4.166% shown out separately on the receipt when they make a purchase. Sure it looks like the business is collecting the tax from the customer and therefore it must be the same thing as a sales tax. 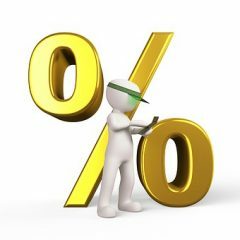 The difference lies in the complaints often made by customers that the business is charging more that the supposed 4%. Indeed, the statutory rate is set at 4% on all retail sales, but the 4% rate is applied to all of the gross income received by the business. So for many years, businesses collected what seemed to be the extra amount people called the sales tax, but when it came time to pay the tax collector, the business had to pay 4% on everything he or she took in, including the amount shown out separately as the 4% tax. So instead of just handing over the 4 cents collected on the sale of an item that cost a dollar, the business has to pay 4% on $1.04. That’s why businesses started passing along the extra 0.166%. While that amount may sound trivial, on a million dollars of gross income that amounts to $1,600 on the $40,000 collected as the general excise tax. So unlike the retail sales tax which is merely collected by the business from the customer, the general excise tax is really on the seller or business making the sale. This misunderstanding often leads lawmakers or their staff into introducing measures to exempt the state or county governments from the general excise tax, thinking that this would be one way to reduce the cost of government. These bills usually are right up there vying for the dumbest bills of the session. The drafters obviously don’t realize that neither the state nor the counties are subject to the general excise tax. It is the vendors from whom the state or counties purchase goods or services that are subject to the 4% tax. Someone did get it right last session and proposed exempting businesses selling to the state and counties. While technically correct, what the sponsor of the bill missed in introducing the bill is that not only would the state and counties save on the cost of the tax, but more importantly, the state would have to go without those revenues. And from an equity point of view, only vendors who sold goods and services to the state would enjoy the exemption. Their competitors selling the same goods and services would have to continue to pay the 4% tax. In fact, blan ket exemptions for certain types of services or goods puts other businesses at a disadvantage and increases the pressure to raise tax rates to make up the lost revenue. For example, a popular proposal calls for an exemption for food from the tax base because we all have to eat. That exemption would favor people who sell food while vendors of say, clothes or shoes, would have to continue to pay the tax. And if the demand for revenues to run state government is not alleviated, then the tax rate on those other businesses may have to go up. Similarly, there have been proposals to exempt medical services from the 4% tax because “people should not be taxed just because they are sick or injured.” That proposal ignores the fact that medical services are also provided to people who are well, as a matter of prevention. It also ignores the scenario of continuing to tax the auto mechanic who is working on the Porsche of the doctor who would be exempt from the excise tax under the proposal. Fundamental to the understanding of the state’s general excise tax is the fact that the tax is imposed on the gross income of the person or business making the sale of goods or services. It is imposed on everyone who sells goods or services in the state when these goods or services are provided by other persons in the state. This latter point is where there is a misunderstanding of goods sold by nonprofits that are also sold by local businesses. This is because the sale of that sausage or sweetbread is in direct competition with the business who has to pay the 4% tax on that same sausage or sweetbread. More next week on Hawaii’s unique tax system.